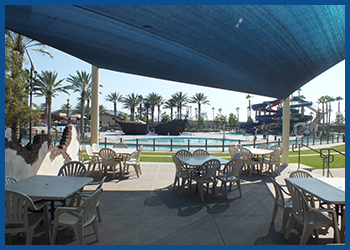 Cabanas are a great way to make your experience at The Cove Waterpark extra special! Cabanas can be reserved in advance or day-of depending on availability. 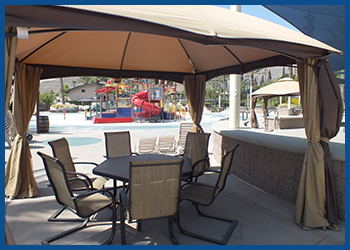 Most of our cabanas are booked well in advance so make sure you call today for availability at 951-360-1974! Parties and group rates also available when you book a cabana. Check out details on our Parties Page! We have a no cancellation policy on cabanas. No refunds will be given after a cabana is booked. Cabanas must be booked 24 hours in advance to be booked online. On site same day cabana rentals do not include cabana service. Reservation must be made prior to receive cabana service. Our Soak Zone Cabanas are your express ticket to a good time! 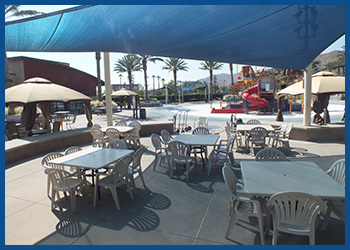 The Soak Zone Cabanas seat up to 10 people and provide you with personal shade and cabanas service. They are located on both sides of the Riptide Reef FlowRider so be ready to be soaked! This Cabana includes 1 table, 6 chairs, 4 lounge chairs, and a full day of Cabana Service*. 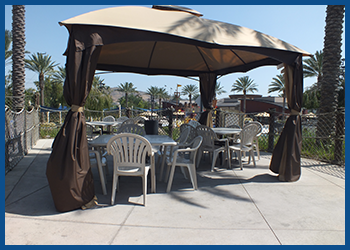 Our Basic Cabanas are a great way to beat the heat! The Basic Cabanas accommodate up to 20 guests with personal shade, cabana service and are located next to Lil’ Mates’ Lagoon. 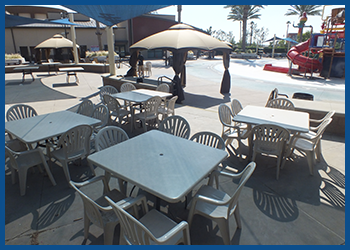 It includes 3 tables, 15 chairs and a full day of Cabana Service*. Our Luxury Cabanas are sure to make you feel like you are sailing in style! The Luxury Cabanas accommodate up to 10 guests with personal shade, luxurious seating, and cabana service. 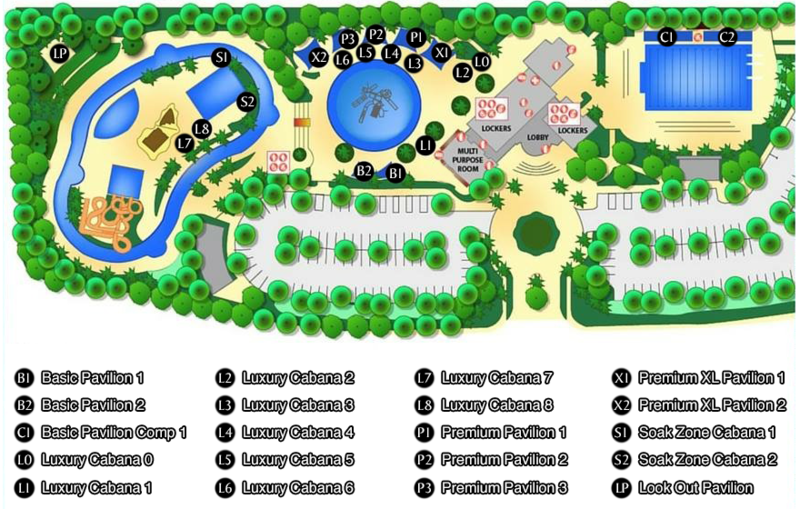 They are located next to Lil Mates Lagoon and The Ne’er Ending River. 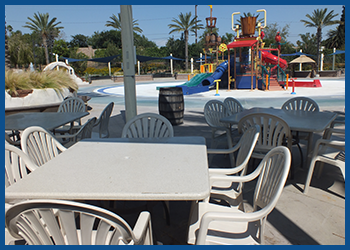 It includes 1 table, seating for 10, and a full day of Cabana Service*.